Former Ohio State quarterback Tate Martell said ‘Goodbye, Columbus’ Thursday and headed south to Miami. 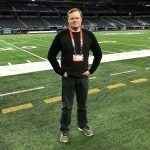 Martell posted a series of images on his Instagram account with messages of support from friends at OSU, then documented his flight from Ohio to south Florida. When he landed in Miami, a TV crew was waiting to get his thoughts on his new home. “I feel good. Just glad to be a part of the team now and get down here and get to work,” Martell said. The quarterback made some very pointed comments about his views on the quarterback position at Ohio State back in December, but had nothing but positive things to say on Thursday. He said that the Hurricanes and their new head coach Manny Diaz were a natural fit for him. “I felt comfortable with everything, with the guys on the team, the scheme fit, everything. I just felt really good when I talked to Coach Diaz,” Martell said. 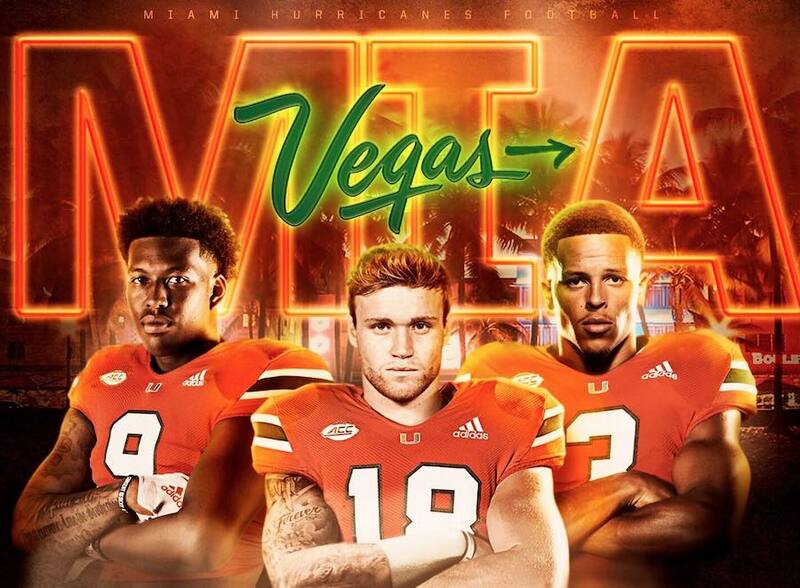 In Miami, he will be reunited with a pair of his old teammates, safety Bubba Bolden and tight end Brevin Jordan from Bishop Gorman High School in Las Vegas. Those familiar faces probably helped sell Martell on the Hurricanes, and he said new offensive coordinator Dan Enos was a big plus as well. He’s not arriving in Miami at a high point in Hurricanes history. The U went just 7-6 in 2018 and got obliterated by Wisconsin, 35-3 in the Pinstripe Bowl. 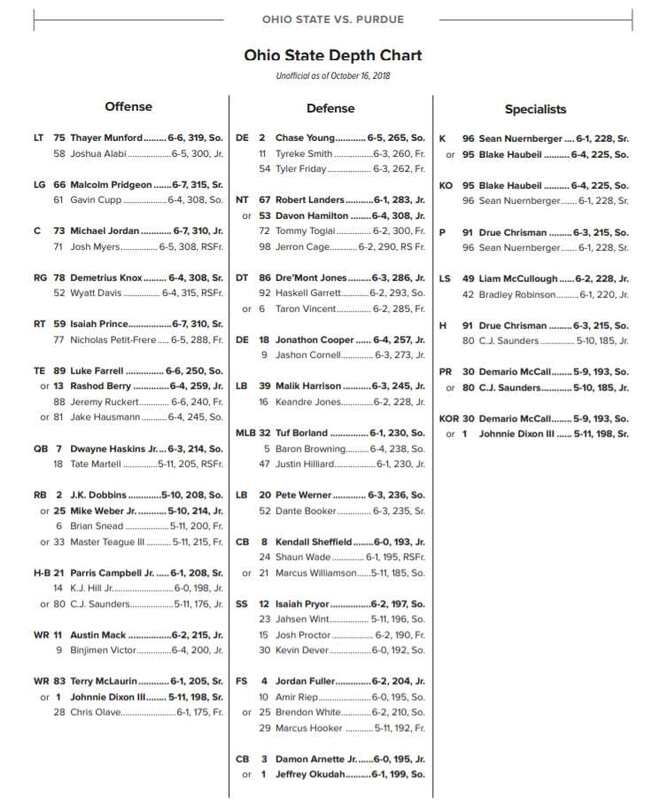 But Martell said he doesn’t expect the Canes to be down for long. You can watch his full interview with CBS 4 Miami below. Good luck, Tate! I don’t blame him at all although why the hell anybody would want to live and attend school at U. Miami is beyond me. He’s not an Ohio kid and that made it easier for him to leave, I think. Don’t expect out of staters to have the same loyalty to OSU especially when it’s being used as a stepping stone to the pros. Dear Tate – Thank you for the effort you put into The Ohio State and I wish you well in Miami. In fact I hope you give Clemson hell. I am tired of them skating into the Nationals with very little competition! Your effort made the Buckeyes a better team just as Joe Burrow’s efforts did. Now go and show the ACC what the B10 is all about just like Burrow showed the SEC. As far as the negative comments by the Heiny Wholes – don’t let that get you down. They are everywhere and in every walk of life. To put it in perspective, you accomplished greater levels of success in leadership, competitiveness and skill set improvements before you graduated high school than many of these naysayers will ever accomplish in their lifetimes. Their admonishments to walk the walk stand in contrast to their walk which is often to the fridge for another beer or piece of pie! Take the lessons you learned at The Ohio State about leadership, morals and teambuilding and make Miami a better school. Take it with you to the NFL or into coaching or into business – whatever life has in store for you. He’s gone, this is not OSU news anymore. Tate Forcier, Tate Martell, Tater Tots…irrelevant. And still, here you are commenting. Methinks you still consider this news. Regardless, many other OSU fans think this is news, and will continue to track Martell next year. And most OSU fans, myself included, hope he does well in Miami. If people continue to show interest in a topic by clicking on stories about it, then we will continue to write about it. You, of course, are free to read or not read any article you choose. But I put his name in the headline and a big picture of him on this one, so you weren’t exactly tricked into clicking on it. Tom, Kurt, VoiceA- try decaf folks, wow! Kurt- rolling my eyes at the article and saying “who cares” does NOT mean I consider this news. I consider it fluff, so it is officially the offseason. And if you choose to follow that trainwreck team in South Florida, more power to you. If you go to a game there don’t forget to wear a bullet resistant vest! Tom- thanks for reminding me of my freedom to read, I nearly forgot about it. And nowhere did I claim I was “tricked” into reading it. Have a GREAT night, Three Amigos of Martell. I’m sure he appreciates the support. Longtime Fan, speaking of decaf, take your own advice and practice what you preach. Bluegrass- um,nooo…I’m actually right in this case, partner. Thanks for playing though. Careful there Bluegrass – disagree with Longtime and he will ride you like Secretariat and call you names. Might be a fan from TTUN trolling us! Voice OF Reason- nope, wrong again (shock!). Been to at least 60 OSU games, including 17 vs scUM, diehard fan for 40 years. The difference is I am actually objective and can sniff an idiot a mile away (by the way, merely disagreeing with me doesn’t make a person “bad” in my book. Semi- literate nonsense and true troll tactics do, however). Take your garbage elsewhere. Yeah, speaking of decaf, longtime fan. Or maybe the Ritalin dose needs upped a bit.